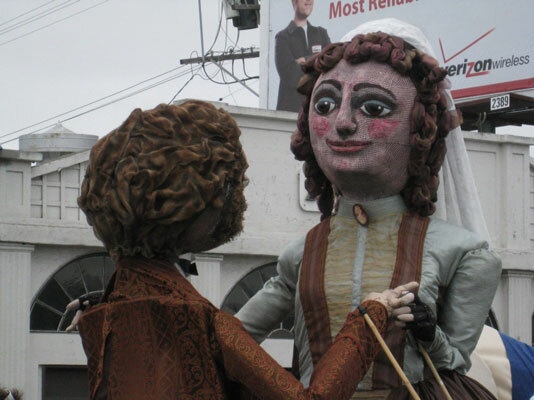 Vallejo Giant Puppets is a community arts project with a giant impact. 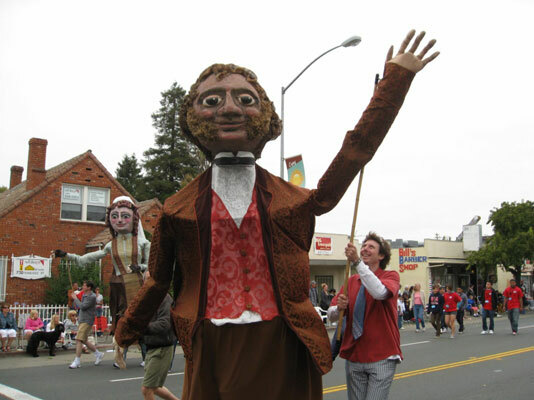 Join us every year as we build and maintain the Giant Puppets and march in the Vallejo 4th of July Parade. Contact us! 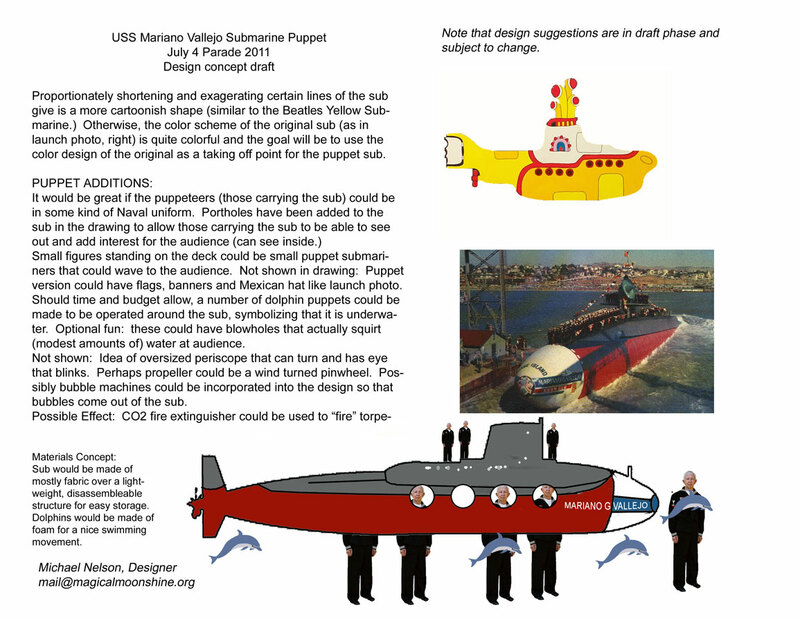 Click here to see a slide show of the building of the USS Mariano Vallejo submarine puppet! 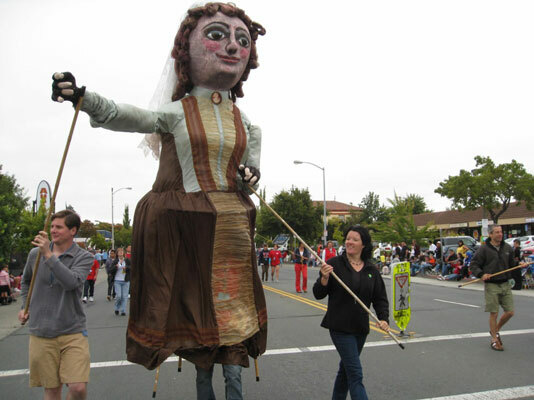 Located in Vallejo, the Giant Puppet Collective started with the Vallejo 4th of July Parade Association commissioning Magical Moonshine Theatre's Michael Nelson to make a 10 foot tall General Mariano Guadalupe Vallejo puppet for the July 4th parade in 2007. In 2008 they added Vallejo's wife, Benicia. 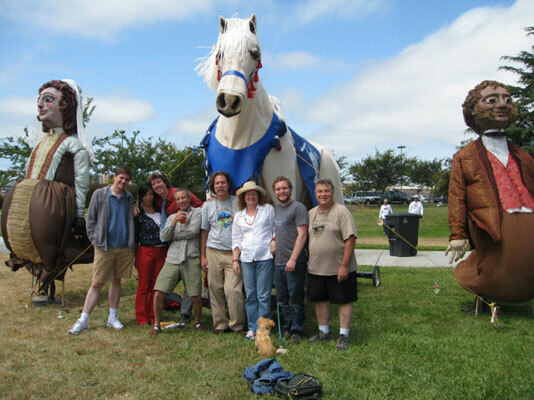 In 2009 the giant puppet making grew to epic proportions with the creation of the giant horse puppet in the Vallejo Ferry Terminal Building, with dozens of community volunteers contributing their time and talents. 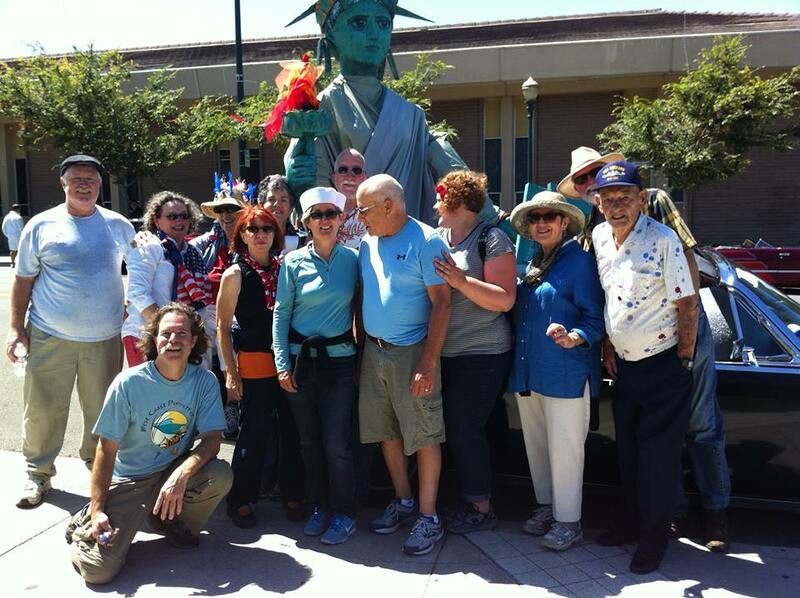 2010 saw the creation of Lady Liberty, and in 2011 the parade puppet was the USS Mariano G. Vallejo nuclear submarine, complete with submariners on deck that salute when the flag is raised. WHERE CAN YOU SEE THE PUPPETS WHEN NOT IN THE PARADE? The General and his wife, Benicia, the Mare and Lady Liberty live at the Mare Island Preserve Visitor Center in Vallejo, open weekends. Here is the gallery of 2010 4th of July Pictures! . . . . . . . 2010 blog of progress! 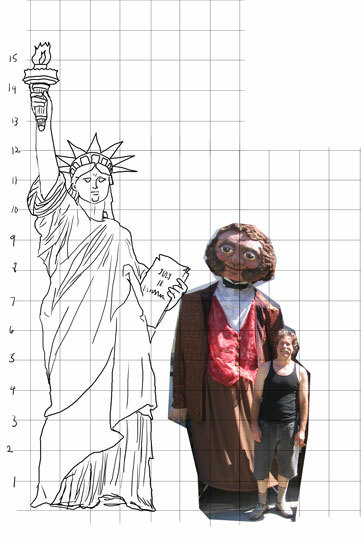 NEW: Gallery of other artist's work inspired by the giants. Below is the 10 minute YouTube documentary on the making of the giant horse puppet, including plans, piece by piece construction, testing, mechanics of the beast, and the parade tricks! Enjoy! 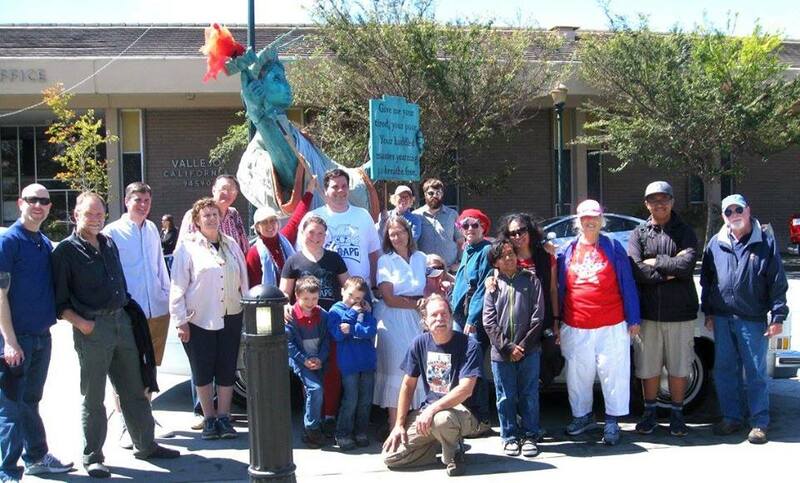 Check out the photos, bios and comments from our many community volunteers! Check out puppet builder Michael's blog on the construction of the giant horse puppet!